The Sixt Limousine Service provides you with a personal chauffeur and a service that is tailored to your needs. You can book your chauffeur for trips around the city, for getting between two cities, or for transfers to and from the airport. Our service is very flexible with the option to book by the hour or even by the month. Enjoy a comfortable ride in a limousine to the airport, hotel, your next meeting or event. Sixt also offers options for travelling in groups, allowing you to save money and travel together with our shuttle bus and minibus options. Your driver can be at your disposal for as long as you need and can wait for you outside as you attend appointments. Of course our team are also happy to take care of your guests and business partners on request. 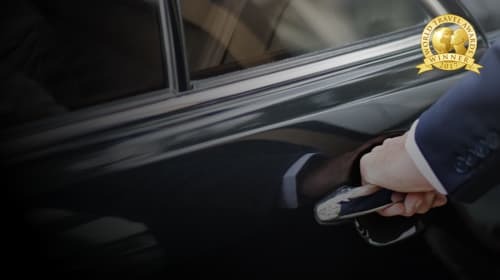 The Sixt Limousine Service employs professional, multilingual chauffeurs who are ready to guide you around the city, take you on a shopping trip, or get you to your flight in good time. Additional services are also available such as luggage management, and assistance in making hotel and flight reservations. Get in touch to discuss your needs in detail and arrange your personalised service accordingly.